Zimbabwe’s Central Bank issued new banknotes, including Z$1 million, Z$5 million and Z$10 million dollar notes. Notes like the new 10 million were released into circulation to combat extreme shortages of money. Bags of cash are needed to purchase simple goods at stores and extreme waits at financial institutions are normal when withdrawing money. Zimbabwe is stricken by severe hyperinflation that some news agency’s have reported as high as 50,000 percent. 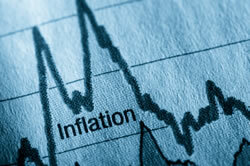 Current official inflation numbers have not been published by the government. "… to provide relief and convenience to the transacting public, daily cash withdrawals have been increased from the current 50 million zimdollars to 500 million per individual …"
As has been the policy since 2003, the new notes are actually temporary "bearer cheques" stamped with an expiry date. However, the notes are renewed on expiration. Introducing higher denominated notes was tried just weeks ago. The Zimbabwe Reserve or Central Bank issued notes in denominations of Z$250,000, Z$500,000 and Z$250,000 in mid December, unsuccessfully resolving the crisis. According to the Voice of America article, Despite Introduction Of Z$10 Million Note, Zimbabwe Bank Lines Persist, long lines still persisted as of Friday. However, the new high denomination notes had not yet arrived in all banks. Inflation in Zimbabwe reached astronomic number! Maybe start printing number changerable Banknotes or switch to Inflation Proof Currency like Bernard von NotHaus’ Liberty Dollar. Or start trading Gold or Silver for medium of exchange.